To Wong Foo, Thanks for Everything! 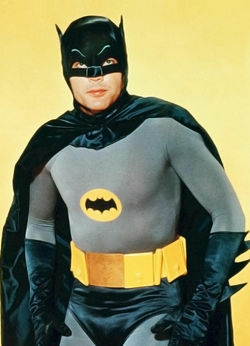 Adam West. My relationship with the Dark Knight is complicated. Growing up with my sister’s hand me down Barbies and an extensively impressive Amelia Bedelia book collection, comic books never made it into the hallowed purple walls of my bedroom. I never played Superheros- I played House. Instead of embodying the caped crusader, I embodied the heteronormative housewife. My fake eggs and bacon were to die for, and you’ve never lived until you tried my scratch and sniff plastic Baskin Robins ice cream. Who is Batman? the five grossest things you will see this valentine’s day.